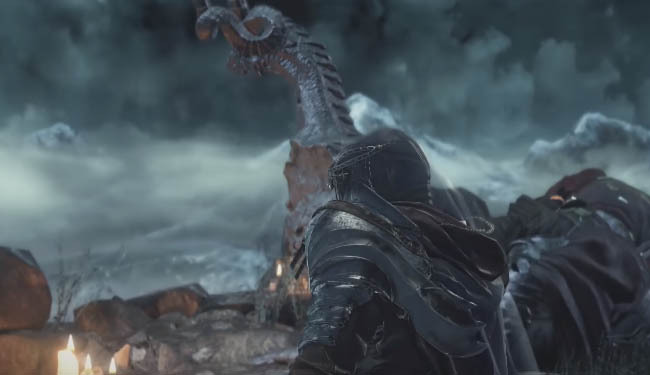 The Estus Flask might seem like a fairly ordinary item but considering how insanely difficult Dark Souls 3 is you'll be wishing for extra health regen more often than not. In this guide I'll show you exactly where to find all 10 of the Undead Bone Shards to max out your Estus Flask and gain maximum health recovery at all times. 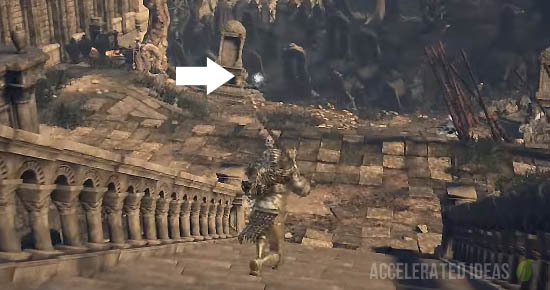 Undead Bone Shards are like white chunks of bone which you can use at the Firelink bonfire to raise the bonfire level. In turn this will make your Estus flask more effective and restore more health points per use. Using Bone Shards is the best way to increase your healing powers and survive for much longer in the unforgiving world of DS3. These shards are randomly scattered around the game world but always in the same location. Sometimes you'll see them plain and clear but at other times they're secretly hidden from view behind closed doors, under bridges and behind secret walls. Once you get a Bone Shard take it to the Firelink bonfire sit down and throw the shard into the fire. From the Dilapidated Bridge bonfire in the Undead Settlement venture forth following the path down below, eventually through the archway, uphill slightly. Take a right hwne you see the tree and spikes in the ground, jump the small gap and at the ledge on your left you will see the Bone Shard. From the Keep Ruins bonfire in the Road of Sacrifices go outside, follow the path leading down, then take a sharp right towards the small circular building. It's full of slugs so kill them first and claim the Bone Shard inside. 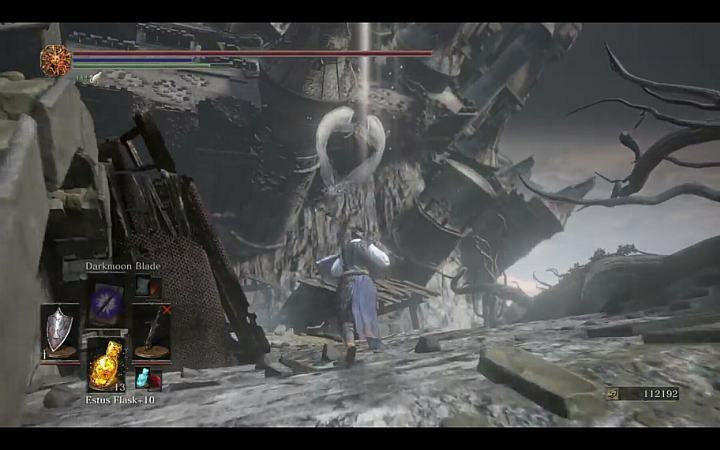 From the Abyss Watchers bonfire in the Road of Sacrifices venture forth and down to the lower level. Stay to the left and follow the route left, then at the end take a right and follow the long bridge. Keep going past the skeletons and into the room, veer right and down another level, eventually outside and then down another longer level. You should see a large rolling ball, use good timing and get inside the next room. At the end of the room, near the cell door is the Shard. From the High Lord Wolnir bonfire in the Catacombs of Carthus backtrack out of the room, follow the path leading underground. Smash the rope bridge so it falls down then climb down the edge of the cliff. Venture left through the swamp and follow the route, then turn right (do not go up the stairs into the building), follow the route further then take another left turn underground again. There should be some tree roots to show you're going the right way. Keep going further and further underground until you see the monsters throwing balls of fire at you. This is the right place now. The Shard is in the corner of this room, near candles (see image). From the Abandoned Tomb bonfire in the Catacombs of Carthus head outside to the swamp area. Kill the huge worm enemy and he should drop a Bone Shard for you keeping. From the Church of Yorshka bonfire in the Irithyll of the Boreal Valley follow the route underground and outside into the dark woods. Take a sharp right and round the side of the wall. There is a tomb with a single enemy with bright red eyes. Kill that guy and take the Bone Shard behind the grave. From the Profaned Capital bonfire in Irithyll Dungeon simply pick up the shard next to the bonfire. 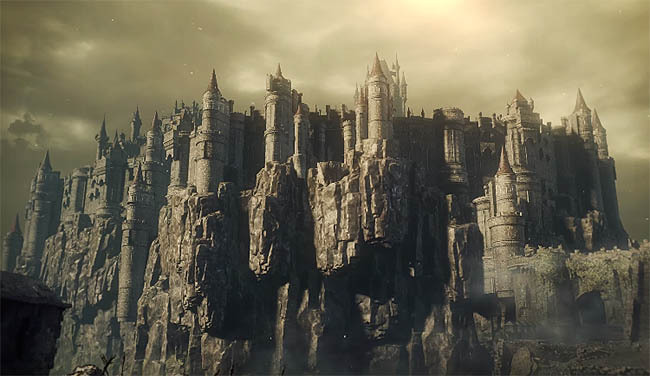 From Dragon Barracks in Lothric Castle head up the stairs towards the dragon, cross the bridge but before you reach the end drop down underneath it. Claim the shard there. 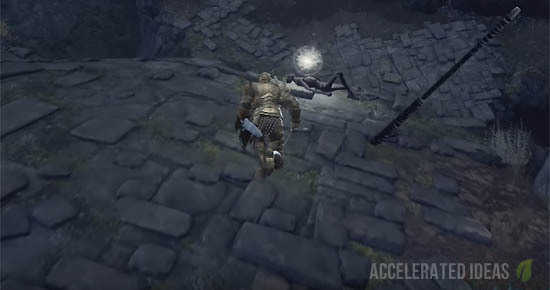 From Grand Archives at Lothric Castle head up the two flights of stairs, turn right and head straight. Turn left and take the lift up one level. Take the left door upstairs towards the wizards and eventually leading outside. You need to get to the rooftops area and run along them to reach the tall circular room with stain glass windows (leaf patterns). It's a fairly long journey and there's a nasty guy with wings that'll chase you with his spear. Head inside the room with the stain glass windows once you find it and take the Shard is on the same level.